Holiday is not always just about sitting in the Spa, or lying on a sunbed. Relaxation can be also participating on some programs around the city. We would like to help you with some offers, you can choose from, if you want to make your vacation more memorable. From the sounds of opera and jazz to the wonderous sights of circus and dance, the Budapest Spring Festival will wow you. 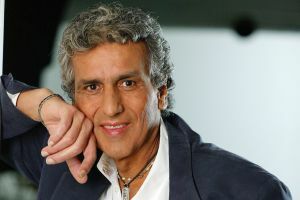 Toto Cutugno, the popular Italian pop singer-songwriter and musician returns to Budapest. He may be best known for his worldwide hit song, “L’Italiano”. As one of the greatest events on the motor sports calendar, the annual Formula 1 Hungarian Grand Prix draws thousands of fans form around the globe to the Hungaroring racecourse just outside Budapest. Be part of the experience! One of Hungary’s foremost tourist attraction returns in 2019, with a sensational musical line-up, various art productions and civil organisations participating. Sziget is a massive Island filled with music, culture, love and freedom, from five minutes from the Aquincum Hotel.